Called the ‘culinary paradise’ of Da Thanh, Da Nang Con market is not only a place for local people to trade, but also a lot of tourists, especially young people want to come when in DaNang. The information such as the address of the Con market DaNang or Con market DaNang opening hours is necessary for you to know to schedule for your trip. Let find out about this famous market in Da Nang and see the Con market on map below! You can’t not experience whole Vietnamese culture without visiting local markets- where the local culture reflects the most. 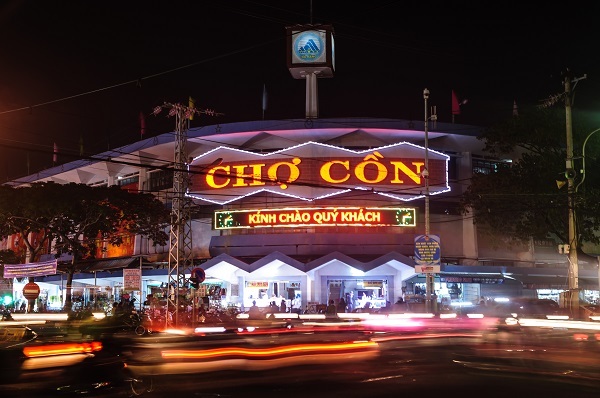 Especially, in Danang, there is a famous traditional market- Cho Con, where local people and tourists come to trade, buy traditional markets and visit ‘culinary paradise’. Therefore, the most frequently asked questions before traveling to Danang are what is the address of the Con market DaNang and what are Con market DaNang opening hours Let’s find out about this famous market in Da Nang and see the Con market on map below! >>> Discover more Da Dang points of interest so you can have fun the most here! You can easily find Con market location on your smartphone using Google Map application. Just enter Con market’s address, at which is 318 Ong Ich Khiem, Hai Chau 2 Ward, Hai Chau District, Da Nang, you will see where the Con Da Nang market on the map is located. Located right next to Vinh Trung plaza- one of the biggest mall in Danang, where Big C supermarket and CGV cinema are, you can enjoy many activities in this downtown area. If you ride a motorbike, you can go straight to the parking lot at in Vinh Trung plaza to avoid being charged so high on parking fee higher in Con market. From the very early days, local people here have been trading at Con market for wholesale items. However, Before visiting you might want to know that Con market Da Nang opening hours is are officially from 6 AM and close at 8 PM every day. • For food, you do not have to bargain, but if you are shopping for other items, you should pay attention to the prices and probably should try to bargain a lot. • Con market is quite crowded, so you need to keep eyes an eye on your personal items such as a wallets and your phones to avoid dropping being dropped or being stolen. • Con market is quite hot so you should not go on a sunny there in the afternoon. Now, we hope you have found the answers for the all your questions what stuffs they sell at Con Market and know about the address of Con market, Con market Da Nang opening hours. 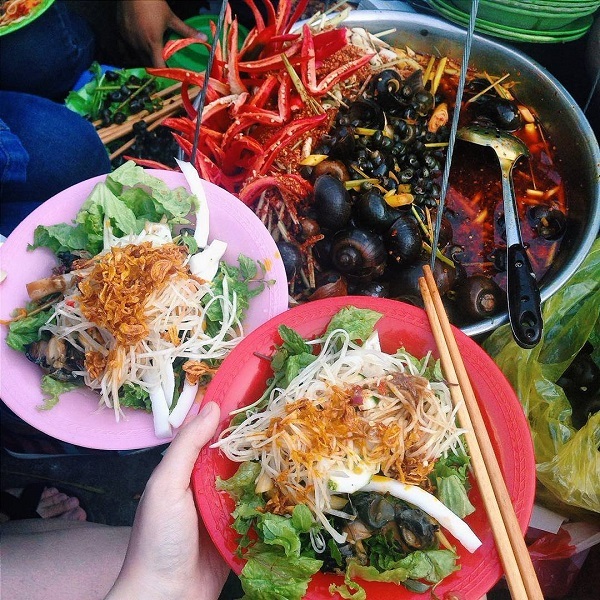 So why don’t you take a small tour to Con market to taste all the specialties of Da Nang?